Soak shell fish in the sauce to marinate at least 2 hours. 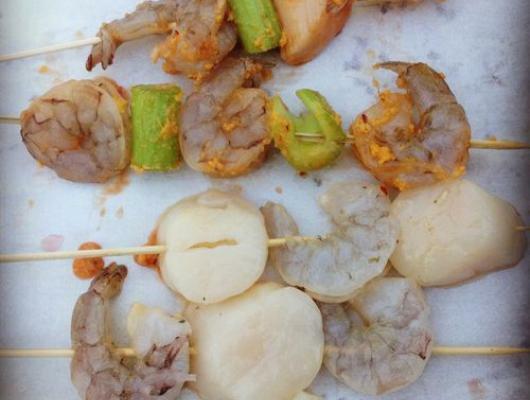 If using wooden skewers, soak 6 of them in warm water for 15 min, to prevent them from catching on fire. 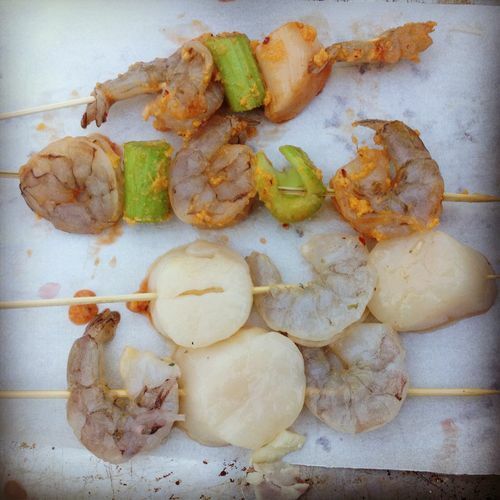 Thread the shrimp, scallops, and veggies on the skewers. Prepare an outside grill with an oiled rack set 4 inches above the heat source. Grill kabobs for about 5 to 6 min total, turning & basting with the sauce while grilling. Kabobs are sooo easy. You don't need a lot of time or fancy ingredients. This recipe is is for a meal as elegant as it is fuss free.